The President, Shri Pranab Mukherjee meeting the official & accompanying delegates, during his visit at Sweden & Belarus, at Air India Special Aircraft Boeing 747-400, on May 31, 2015. 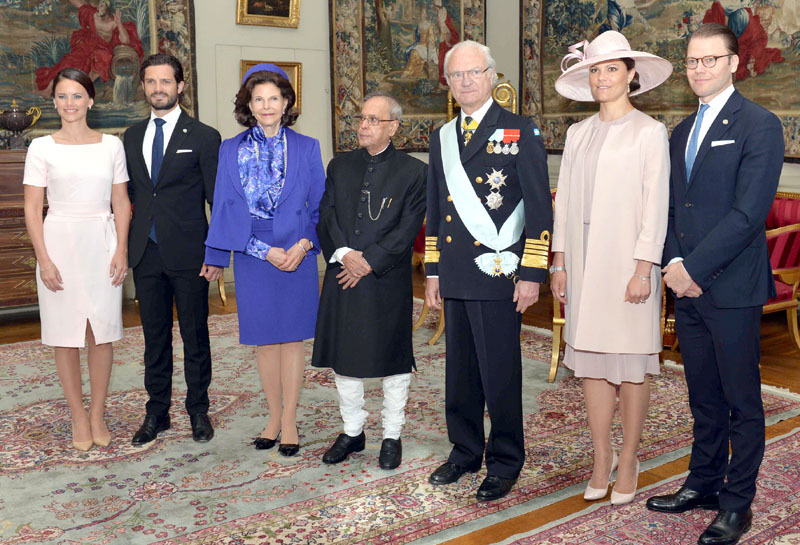 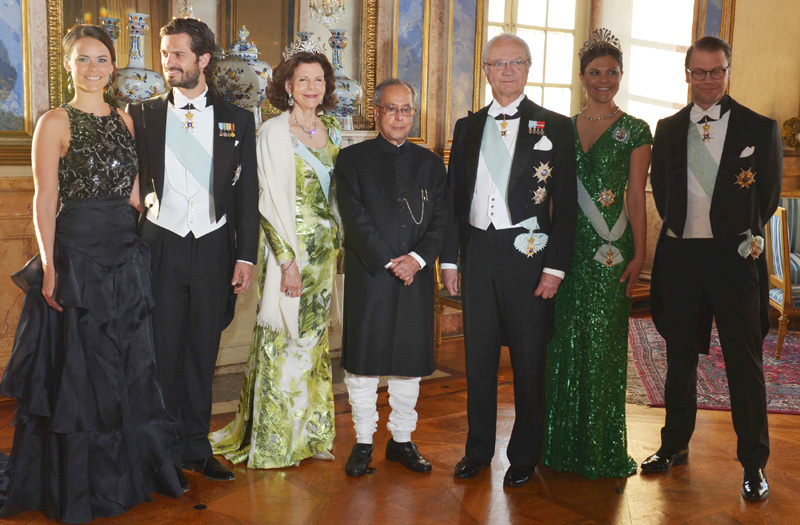 The President, Shri Pranab Mukherjee with the King, Carl XVI Gustaf, Queen, Princess Victoria, His Royal Highness Prince Carl Philip and Ms. Sofia Hellqvist, at Stockholm, in Sweden on May 31, 2015. 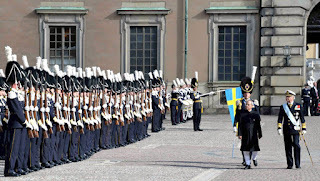 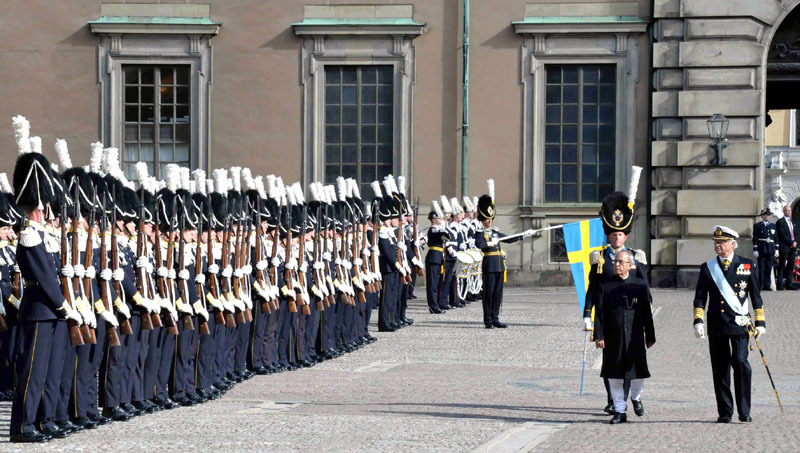 The President, Shri Pranab Mukherjee inspecting the Guard of Honour, at Stockholm, in Sweden on May 31, 2015. 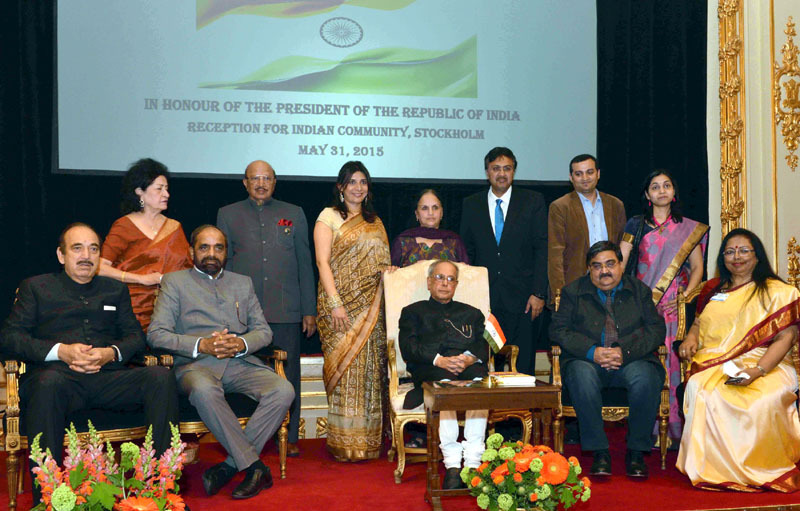 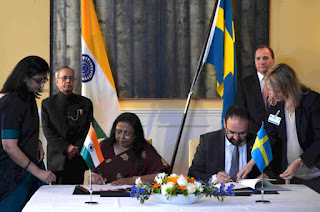 The President, Shri Pranab Mukherjee at the Indian Community Reception hosted by the Ambassador of India to Sweden, Ms. Banashri Bose Harrison, in Stockholm, Sweden on May 31, 2015. 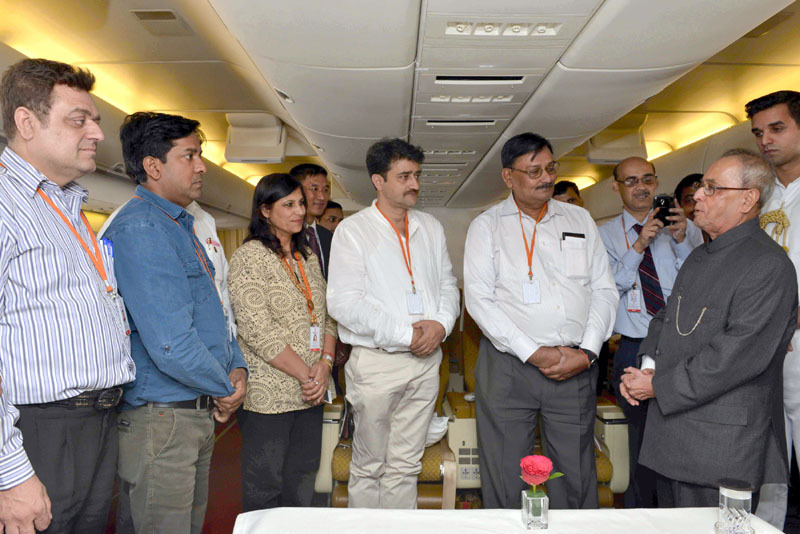 The Minister of State for Chemicals & Fertilizers, Shri Hansraj Gangaram Ahir and other dignitaries are also seen. 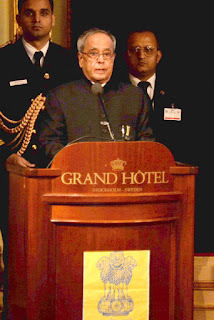 The President, Shri Pranab Mukherjee addressing at the Indian Community Reception hosted by the Ambassador of India to Sweden, Ms. Banashri Bose Harrison, in Stockholm, Sweden on May 31, 2015. 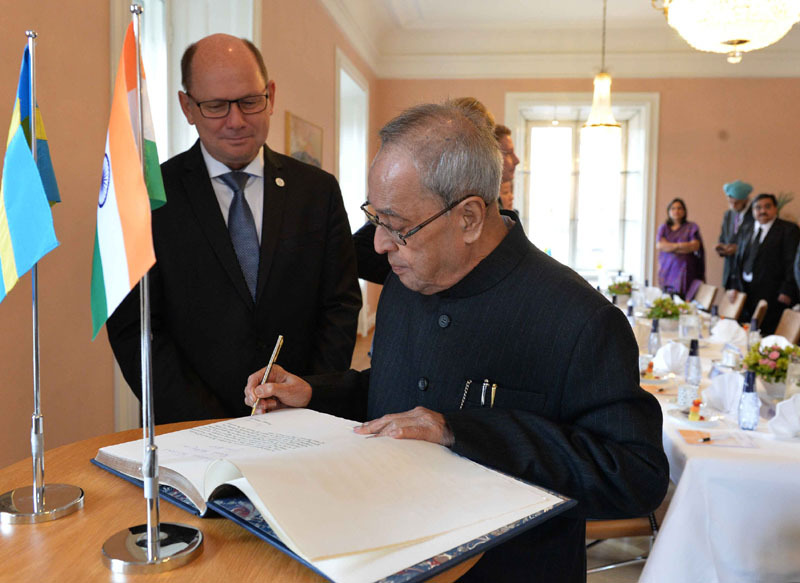 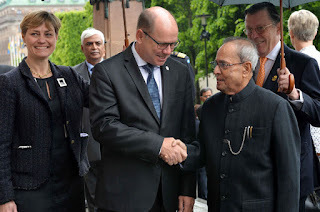 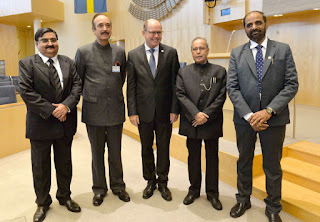 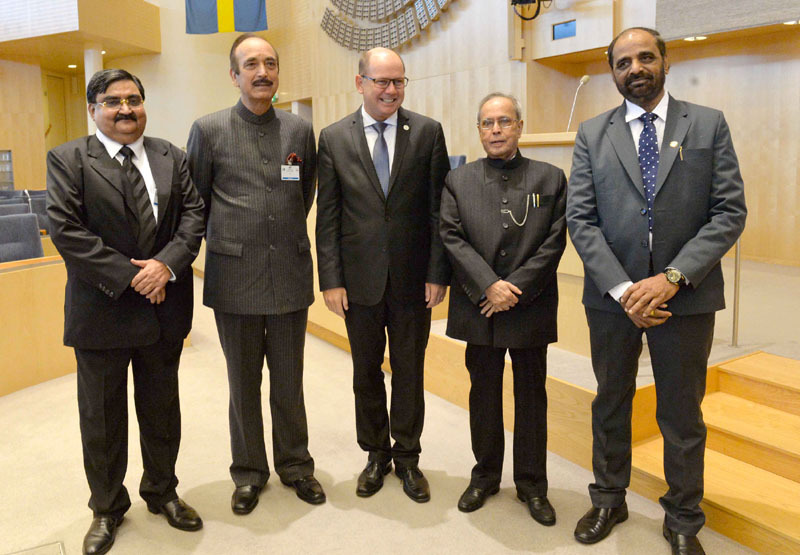 The President, Shri Pranab Mukherjee meeting the Speaker of the Riksdag, Mr. Uban Ahlin, at Riksdagen, in Stockholm, Sweden on June 01, 2015. 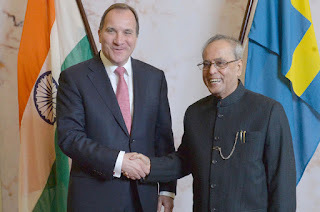 The President, Shri Pranab Mukherjee meeting the Prime Minister of Sweden, Mr. Stefan Lofven, in Stockholm, Sweden on June 01, 2015. 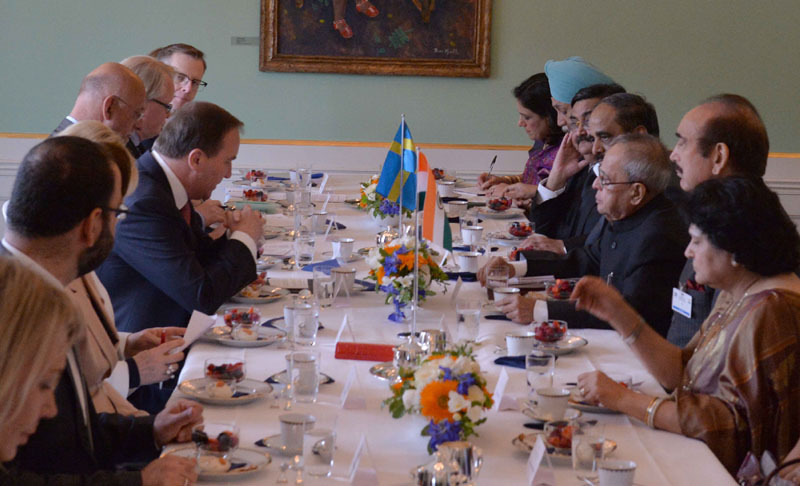 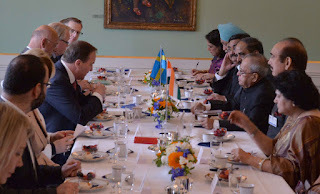 The President, Shri Pranab Mukherjee and the Prime Minister of Sweden, Mr. Stefan Lofven, at the delegation level talks, in Stockholm, Sweden on June 01, 2015. 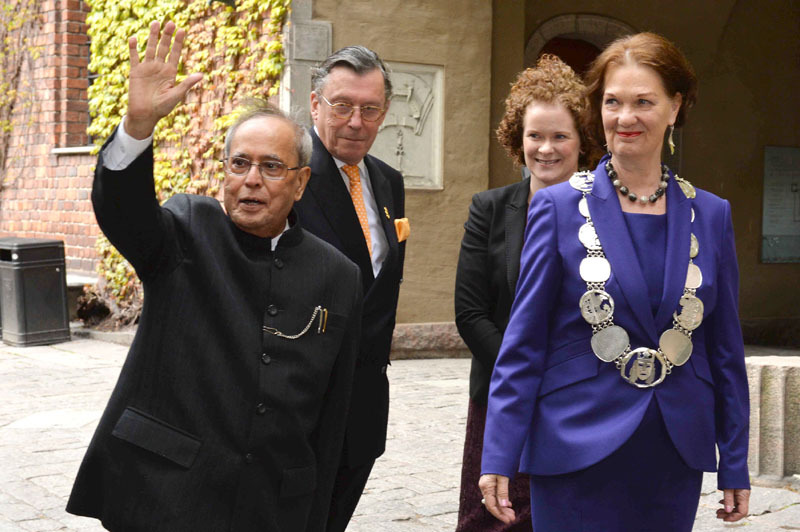 The President, Shri Pranab Mukherjee with the Mayor of Stockholm, Ms. Karin Wanngard and the President of the Stockholm City Council, Ms. Eva Louise Erlandsson Slorach, in Stockholm, Sweden on June 01, 2015. The President, Shri Pranab Mukherjee in a group photograph during the Banquet Hosted by their Majesties King Carl XVI Gustf , Queen Princess Victoria, His Royal Highness Prince Carl Philip and Ms. Sofia Hellqvist, at Stockholm, in Sweden on May 01, 2015.